1) or O’Dugan – Azure, a decrescent argent, between nine estoiles of eight points, or. Crest: a demi lion rampant or, langued and armed gules. 2) or Dugan – Quarterly, az. and erm. in the 1st and 4th quarter a griffin’s head or. Crest—A talbot statant ppr. collared ar. The surname Dugan is a derived form of the Gaelic last name O Dubhaigain, after it has been translated into an anglicized form. This is a surname that counts on a big meaning, because it is composed of the Gaelic prefix “O” which means “grandson of” or “male descendant of”, then it has the personal name “Dubhagan” that comes from the Gaelic word “dubh” which can means “black” or “dark” and it ends with the diminutive suffix “an”, so the whole meaning behind this surname it would be something like “a male descendant of the black”. This last name can be found for the first time in the County of Clare, on the west coast of Ireland, specifically in the province of Munster. The Dugan family can be connected directly to Fergus Mor, also known as, Fergus the Great and indirectly to King Ir, brother of Heremon, one of the most famous monarchs of Ireland. From there, Dugan spread to the counties of Cork, Tipperary, and Waterford. 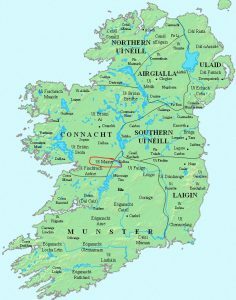 There was another branch of this family, who occupied the territory of the county Ui Maine, also known as Hy Many, and from there it extended to the counties of Galway to the east and to Roscommon at the south. The oldest record of the surname Dugan belongs to John O’Dugan who was famous because of its work of “Topographical Poems”, during the reign of King Edward III, who held the crown from 1327 until 1377, O’Dugan died in 1372. At the moment of translating a surname from Gaelic to English, it is normal to see many spelling variations, because it is impossible to do it perfectly. However, this is only one of the reasons for seeing that one person could count on several different ways of writing his last name in the middle age. During this time, the records were kept by the scribes, who used to write words according to their sound, which led to many unique ways of writing from each one of them. This happened because some languages didn’t have grammatical rules, and in some cases, there wasn’t even a written format of the language, so they had to rely on their ears, because there wasn’t any guide that told how to write in a right way. Another reason was the popular practice of some families to add suffixes or prefixes to their last names to show aspects like their religion or loyalty. Thanks to all of these motives there were spelling variations and in the case of Dugan the most common ones are Duggan, O’Duggan, Dougan, Douggan, Dewgan, Deugan, Doogan, Duggen and Doohan. According to the data offered by the census of 2014, the surname Dugan is the 15,600th most common last name in the world, with approximately 33,702 bearers in the whole planet. The nation with the biggest amount of bearers of Dugan is the United States, followed by the Philippines in second place and Turkey in third. Dugan has its highest density in Northern Ireland. As can be seen, this surname is not very popular in current times. There are records what show the names of some old bearers of the surname Dugan, as well as an aspect of their life, such as John Duga, who was a prisoner of war in the Tower of London during 1413, Richard Ó Dubhagáin who according to “The Annals of the Four Masters” died in 1379 and Donald Ó Dubhagáin who passed away in 1487 according to the same book. Teigh O’Duggan who kept records of several families in Ireland during that same time, Reverend Patrick Duggan (1813-1896) who was the Bishop of Clonfert and Seán Mór Ó Dubhagáin, an Irish poet who died in 1372. Many Irish people left their nation and went to the United States to look for a better life, people such as James Dugan in 1775, John Duggen in 1739, Cornelius Diggin in 1762 and John Duggin in 1765. There are some good records that allow us to know details about some genealogical branches of the surname Dugan. One of them started with Robert Dugan, who was born in 1710 in Donegal, Ireland. He was the son of Thomas Dugan and Eleanor Dugan, the records don’t show the ascendancy of this woman. Robert Dugan got married to Margaret Parks and with her, he had a son, Thomas Dugan II to then die in 1787 in Newberry District. Thomas Dugan II was born on June 8, 1748, in Virginia and he grew up to become a Colonel in the army. He died on December of 1822 in Newberry District, but not without leaving a son, John Johnson Dugan who was born in Newberry District but there are not records of the date of his birth. He got married to Nancy Shell on an unknown date and together they had a daughter, Mary Jane Dugan and then died in the same city where he was born. Mary Jane Dugan was born on September 19, 1803, in Newberry District, she got married to Francis Asbury Shell, son of Stephen Shell and Mary Jane Ellis. Mary Jane and Francis had two sons, John Shell and Stephen Henry Lemmon Shell. Then Mary Jane Dugan died on October of 1688 in Chickasaw, Mississippi. A different line of the surname Dugan started with Tomas Dugan who was born in 1794 in Ireland. He grew up to become a weaver and got married to Barbara Doble and together they had a son named John Dugan on January 1, 1814, in the county of Mayo in Ireland. John Dugan got married to Jane Fair, daughter of William Fair and Elizabeth Livingstone. He was a farmer in Australia, in the region of Minore Falls and was one of the pioneers that explored that place. John and Jane had six children. Thomas Dugan, Elizabeth Dugan, William Dugan, Robert Dugan, Mary A Dugan and Barbara Dugan. After that, John Dugan died on August 1, 1882, in Minore Falls, Australia. Thomas Dugan was born in New South Wales, Australia. Like his father, Thomas was a farmer and had a property named Lockdale. He got married to Elizabeth J. Utley, and together they had 6 children. Unfortunately, there are not records of their names. The second child of John Dugan, Elizabeth Dugan was born in 1840 in Sydney, Australia, she got married to John Bailey, son of George Bailey and Jane Armstrong, on June 4, 1862. Elizabeth and John had eleven children, but only one of them had his name recorded, James E Bailey, who certified the death of Elizabeth, which was on September 17, 1915. William Dugan was born in 1844 in New South Wales, Australia. He got married to Mary Annel Latham in 1878 and together they had 3 sons and 4 daughters, but the record doesn’t show their names. William was a stockbreeder who accidentally died on October 22, 1900. Then there was Robert Dugan, who was born in 1845 and got married in 1869 to Rebecca B. Brien, daughter of John Alexander Brien and Margaret Brien. Robert Dugan died on June 9, 1936, in Bondi, Australia, but not without leaving his offspring. His first child was Susannah Dugan, who was born on January 7, 1870, in Dubbo, Australia. She got married to Walter Richard Quarmby, son of Richard Miller Quarmby and Sarah Edgar. Susannah and Walter had six children, Claude Richard Quarmby, who was born in 1894 and became a soldier, but died without children, Vera Eileen Quarmby, who was born on September 7, 1896 and got married to Charles Macmillan Beddie, Ruby Maud Quarmby, who was born on December 14, 1898 and got married to Victor Francis Back, Clarice Quarmby who was born in 1900 and became a teacher, Robert Quarmby who was born on February 16, 1903 and got married to Emmeline N. Clark and Isabel Merle Quarmby who was born on November 1, 1909 and became a gardener. Susannah passed away on March 7, 1948, in Bondi. The next child of Robert Dugan was Jane Dugan, who was born in 1872 in Dubbo, Australia and got married to Peter Beddie, son of William Beddie and Matilda Hood there are not records of their possible children. She died in 1952 in Hornsby, Australia. The records don’t show anything about John Dugan only that he was born in 1874. Margaret Dugan died while still was an infant, she was born in 1877 and died in 1878. Mary Elizabeth Dugan was born in 1879 and got married to James Beddie, also son of William Beddie and Matilda Hood, in 1908. The next child of Robert Dugan was Thomas J. Dugan was born in 1883 and got married to Rose Fenton, in 1903. Thomas and Rose had 8 children: Florence Dugan who was born in 1900 and died in 1976, Josephine M. C. Dugan who was born in 1902, Eileen V. Dugan was born in 1904 and got married to Edward B. Jenkins, Hazel Daphne Rose Dugan who was born in 1906 and got married to Wallace Pittman, Lilian Rae Dugan who was born in 1908 and got married to Robert McLean, Kenneth Robert Thomas Dugan who was born in 1911 and had two wives, first, Margaret Mary Kirwan and after her death, Winifred Agnes Elaine Allison. The last two children of Thomas J. Dugan and Rose Fenton were Jack Hamilton Dugan who was born in 1915 and Stanley Dugan who also was born in 1915. Then there were the last children of Robert Dugan, Ruby May Dugan who was born in 1886 and got married to David L. Dalziell. The last two children of John Dugan were Mary A. Dugan who was born in 1850 and Barbara Dugan, who was born in 1851 and got married to Isaac Roberts on October 5, 1874. Many Europeans traveled to America after the arrival of Christopher Columbus to the new continent. They were looking for a new beginning and they brought their culture and their surnames. Some of the first bearers of Dugan in arriving at the United States in the 18th century were James Dugan, who arrived in New York in 1775, in 1795 Neal Dugan, Neil Dugan and Thomas Dugan landed in America and William Dugan arrived in New York in 1798. During the next century more bearers of Dugan arrived in the United States like Edward Dugan in 1821, John Dugan who landed in Pennsylvania in 1844, that same year Michael Dugan also arrived in Pennsylvania and J. Dugan who landed in San Francisco, California in 1850. Another country where bearers of Dugan arrived, was Canada. During the 19th century, John Dugan arrived in Nova Scotia in 1843. We were unable to locate any documented mottoes for the Dugan family. We were unable to locate any documented grantees for the Dugan family. There have been some bearers of the surname Dugan, that have played important roles in their respective fields. Some of them are Alan Dugan (1923-2003) an American poet who won the National Book Award and also the Pulitzer Prize for Poetry, Eileen C. Dugan (1945-1996) a politician from the city of New York, Len Dugan (1910-1967) an American football player, Tom Dugan (1889-1955) an Irish film actor, Dennis Dugan (b. 1945) a American actor and film director, Darcy Ezekiel Dugan (1920-1991) an Australian who became famous for being a bank robber, Jeff Dugan (b. 1981) an American NFL football player for the Vikings of Minnesota, Raymond Smith Dugan (1878-1940) an astronomer, textbook writer and professor at Princeton University from the United States, Timothy Dugan (b. 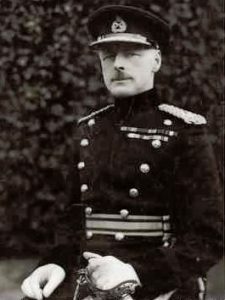 1953) an American judge, Winston Dugan, 1st Baron Dugan of Victoria (1877-1951) a British administrator who occupied the charge of Governor of South Australia, Joseph Anthony “Joe” Dugan (1897-1982) a American Major League Baseball player from 1917 until 1937, and Fred Dugan (b. 1933) an American football player for the San Francisco 49ers, the Dallas Cowboys and Washington Redskins. The main heraldic symbols in the Dugan Coat of Arms (erroneously Dugan Family Crest) are the decrescent and the griffin’s head.